In 1977, Nintendo contracted a guy called Shigeru Miyamoto. 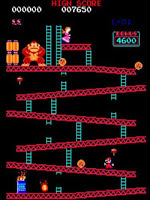 This young japanese rapidly obtained a privileged position into the company thanks to the creation of a game, the Donkey Kong, where a giant donkey throwed barrils to a plumber called Mr. Jumpman. The game was a completely success in the USA in 1982. This young plumber with a large moustache would end up being called Mario, in honor to the man in charge at Nintendo in the USA, Mario Segali. So far, Nintendo has sold more than 193 million games of Mario all around the world. A few years ago, Nintendo decided to created a new sports game to sell it within its new console, the Wii. 25 years after Mario's first jumps, Miyamoto created another succesfull game, the Wii Sports. But, how can a company like Nintendo can duplicated their sales when their consoles, Nintendo DS or Wii, have the less technical potential? The answer was given by the same Myamoto in a recently interview. Nintendo decided to follow the Blue Ocean strategy created by W. Chan Kim: "focus on no-costumers, innovate and create and capture new demand". With Nintendo Wii and DS, the company did follow this steps properly. 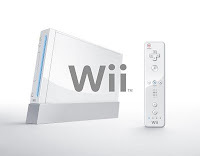 Wii's new controller and the abilities of this one, was a huge revolution within the market. At the same time, Nintento DS and his brain games, introduced the world of consoles to a new segment of costumers, the old people.